This problem has been on-going for many months (if not years), with the FDA issuing several warnings. A number of jerky pet treat products were removed from the market in January after a New York state lab found evidence of up to six drugs in certain treats made in China. The cause of the deaths and illnesses remains undetermined, but the FDA has linked the issue to jerky treats containing chicken, duck and sweet potatoes. The FDA has appealed to veterinarians around the country for help in determining the scope of this developing situation, asking for urine and blood samples from pets sickened by jerky treats. 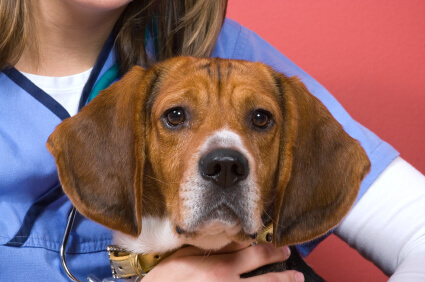 Additionally, FDA officials just published a fact sheet for pet parents – to read it, click here. If you've heard of a dog or cat exhibiting symptoms after consuming chicken jerky treats made by Purina, Del Monte, Publix or IMS Pet Industries (and possibly other makers), please encourage their pet parents to report the event to the FDA Consumer Complaint Coordinator. Fortunately, Life’s Abundance offers a safe, USA-made alternative - Tasty Rewards Nutritional Training Treats, created using only nine wholesome ingredients. Made in California, this delectable jerky-style treat features New Zealand-raised lamb, chicken, ground brown rice and vitamin B12. And, just like all of our products, this formula includes zero artificial preservatives or artificial colors. It’s all part of our commitment to ensure that every kibble, treat and supplement fed to your companion animal is healthy, safe and of premium quality.